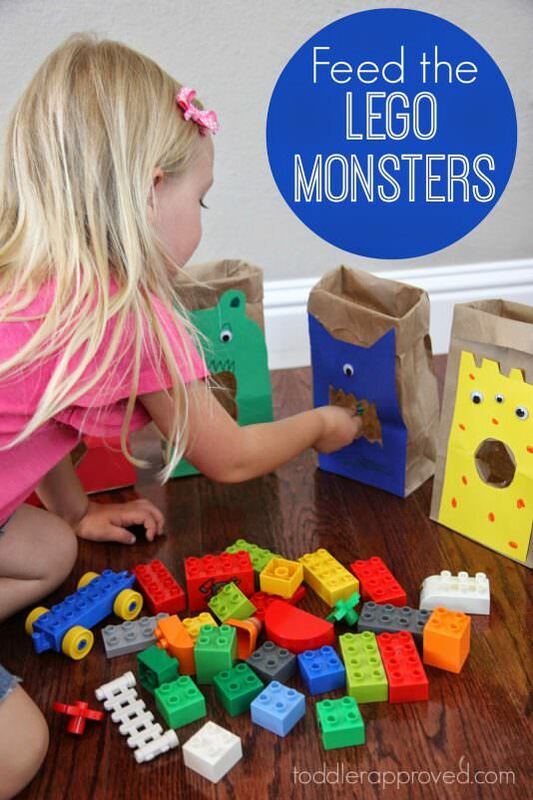 100+ Baby & Toddler Learning Activities, organized by skill, age, duration. At ADAM & Mila we have the web’s best collection of Learning Activities for Babies and Toddlers. 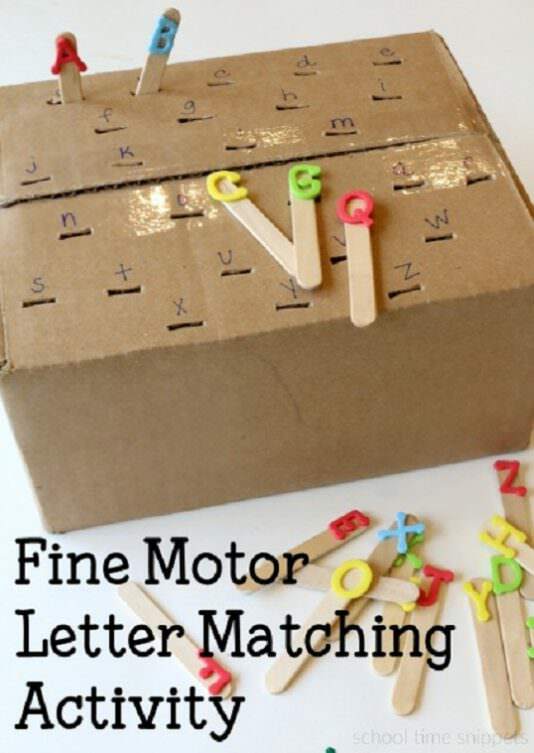 Our goal is to provide free resources to parents looking for ideas and inspiration on how to strengthen their child’s early development of social, cognitive, language, gross and fine motor skills. We aim to make parenting easy and playtime both fun and educational for your baby or toddler. We have learning activities in all shapes and sizes including music, crafts, math toys, animal books, health and fitness, reading games, videos with creative ways to teach colors and lots more. If it is a fun and educational learning activity for babies and toddlers, you will find it here! As a unique feature of ADAM & Mila you can search for activities based on Developmental Milestones so that you can quickly and easily find the most suitable activity for your child’s current development stage and to help him or her reach further. 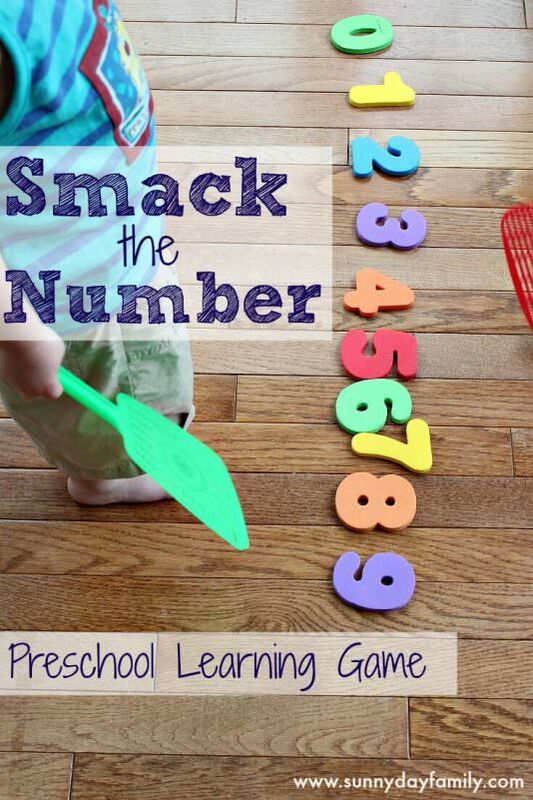 It’s a quick number practice game to help kids to know the numbers and it’s FUN. At Home activity, 5 to 15 minutes. Suitable from two years to six years old. Best with just a single child, Parent participation required. 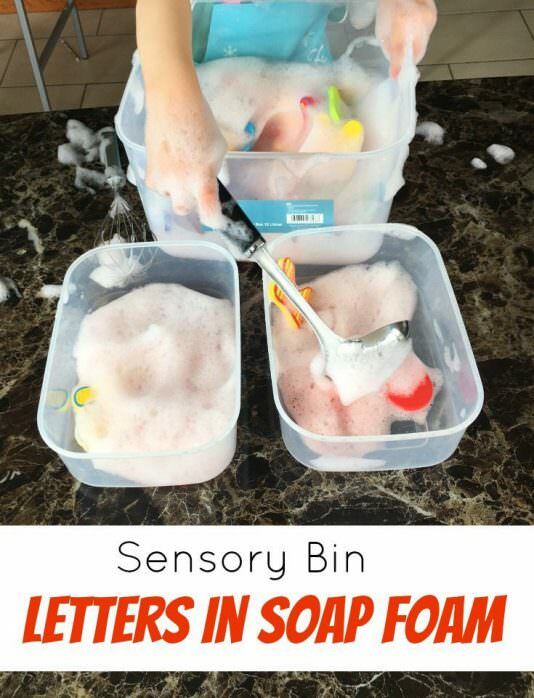 This activity was created by Sunny Day Family. Learn various ways to encourage Tummy Time at home. 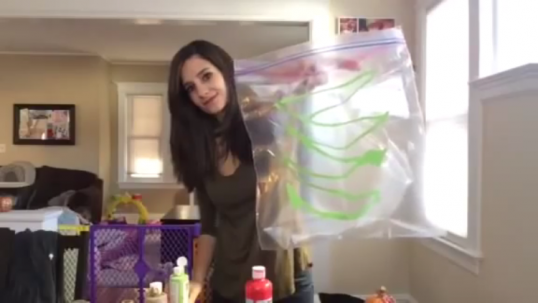 At Home or Daycare activity, 5 to 15 minutes. Suitable from birth to 6 months old. Best with just a single child, Parent participation required. This activity was created by Susan Klemm who is a Licensed Ocupational Therapist. Play with paint easy and mess free using Ziploc bag and duct tape. At Home activity, 5 to 15 minutes. Suitable from one year to two years old. Best with just a single child, Parent participation not necesary. This activity was created by Jaclyn Yasmin. A simple color sorting and building game for the kids. At Home activity, 5 to 15 minutes. Suitable from one year to six years old. Good with either one or two kids, Parent participation not necesary. This activity was created by Toddler Approved. 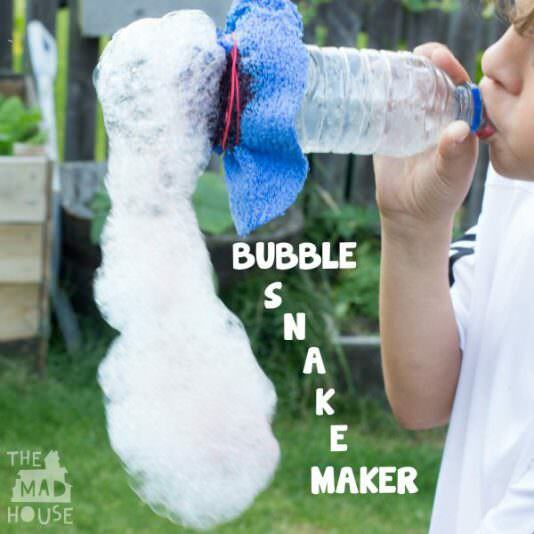 This bubble snake maker is so fun and easy to make from things that you will already have in your home. At Home or Outdoor activity, 5 to 15 minutes. Suitable from one year to six years old. Good with either one or two kids, Parent participation required. This activity was created by The Mad House.